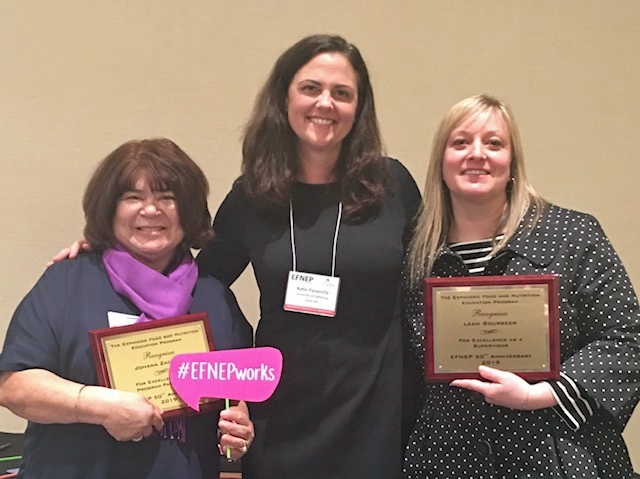 The USDA's National Institute of Food and Agriculture presented awards to two California women for their role in the Expanded Food and Nutrition Education Program (EFNEP). EFNEP participant Johana Zacarias of Yolo County and Leah Sourbeer, the UCCE EFNEP Supervisor, where honored at the 50th Anniversary celebration at the National EFNEP Coordinators Conference in Virginia, March 11-14. Zacarias, a young mother of four children, participated in EFNEP at Cedar Lane Elementary School in Olivehurst, Calif. EFNEP educator Sonia Rodriguez suggested participants check with their doctors before making changes to their exercise and dietary habits. Zacarias visited her doctor and discovered she had early stage fatty liver disease. 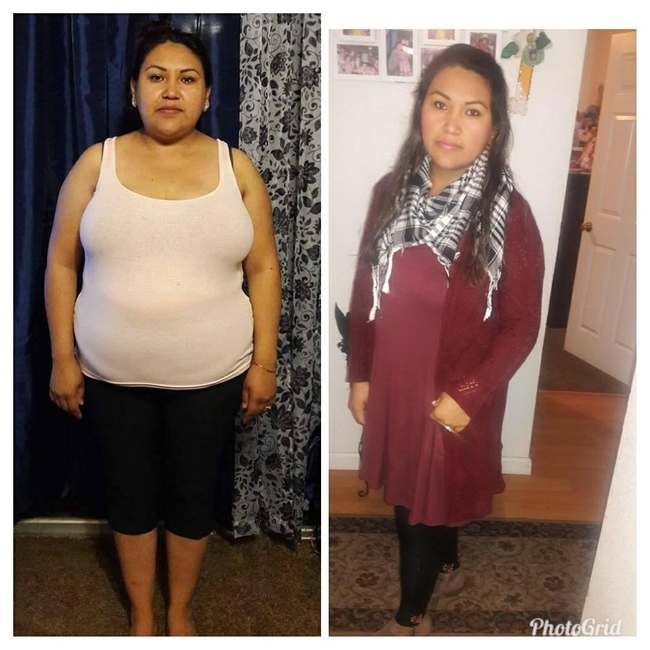 Zacarias decided to change her eating habits and walk with her family fives day a week to avoid using medication for her condition. She eliminated sodas from her diet and began drinking more water. She cleaned unhealthful foods out her pantry and began organizing her grocery shopping using a list. Zacarias said she enjoyed every class and is telling everyone in her family, friends and neighbors about her story and the opportunity to participate in EFNEP. Johana Zacarias in before and after photos that show her success in the EFNEP program. Sourbeer is the supervisor of seven EFNEP educators in two urban counties – Alameda and Contra Costa. “She is highly respected by her staff, academic advisor, UCCE colleagues and outside partners,” wrote her colleagues in nominating Sourbeer for the honor. Sourbeer developed online systems to enable educators to capture outcome data and success stories. She is proactive in seeking out professional development opportunities for herself and staff to enhance evidence-based nutrition knowledge, teaching methodologies, and social determinants of health.